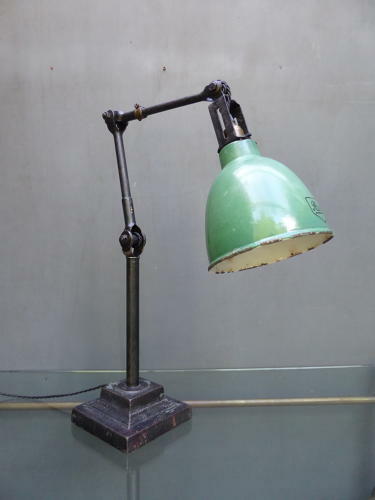 A fantastic early vintage industrial Dugdills work lamp. With heavy cast iron base, articulated arm & green & white enamel shade with 'Revo' branding to the outer front. This lamp was made in different sizes by Dugdills with this being the largest variation. Wear commensurate with age, very good overall, some expected light fading & wear to the enamel shade.